News Corp. is expected to earn $350 million to $400 million in total from their record-breaking blockbuster Avatar. is sold out to paid TV stations and released on DVD, according to Bloomberg. That amount, from one movie, would cover almost half News Corp.’s average quarterly operating profit in the past year. News Corp. is getting a 40% cut of as much as $1 billion that the top-grossing film is expected to earn for its Twentieth Century Fox and Avatar investors, sources told Bloomberg. 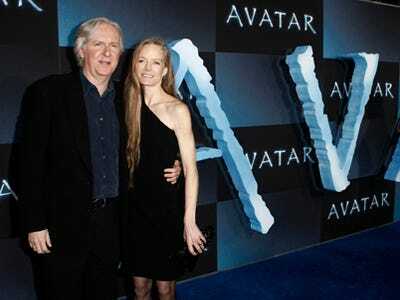 Avatar will make it up to $400 million if DVD sales go well. They already nixed a plan to release a 3D-enabled disc, saying that TV technology had not hit mass market yet. That’s a smart move, but the 2D viewing experience might not entice as many buyers. The theatre experience, and premium-priced 3D ticket sales, are the main force behind those revenue numbers, which is why News Corp. and Cameron are in talks for a sequel. “Jim has ideas for one,” but “we haven’t come to any agreement with him,” News Corp. chairman Rupert Murdoch said in an earnings call. “Being Jim Cameron I wouldn’t hold your breathe for an early” sequel, he said.